Currently powering the Evila Modular Synth. 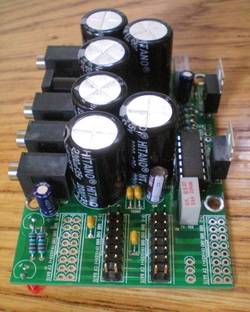 This is an adjustable power supply that can be powered with an external 12-16VAC wall adapter. It hangs off the panel by 3.5mm Jacks. The front circuit is a multiple. 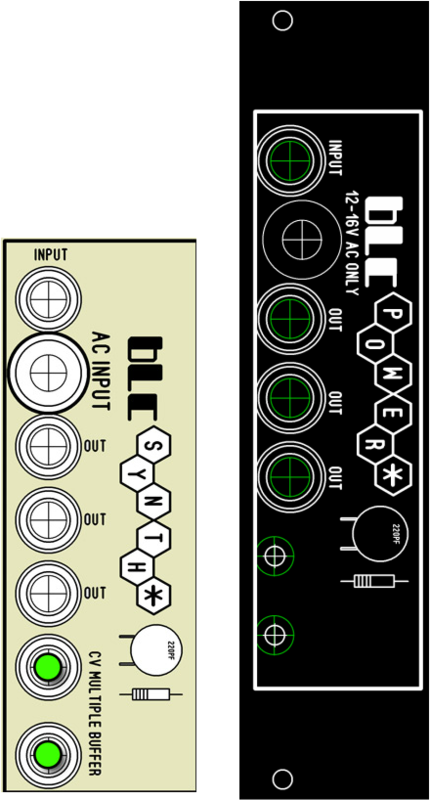 (4) EURORACK STYLE POWER connections are available to jumper off with IDC connectors to power modules. It's a very compact and elegant design. Anywhere from 12v-16v in both positive and negative voltages. can be achieved. The multiple is active and buffered so that no signal loss happens. 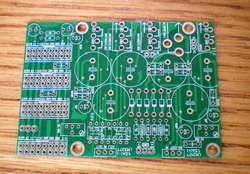 It uses a TL074 Analog IC. The next picture on the bottom is the Newer Revised Version. The circuit is the same I just made a few changes and made it even Smaller. I can offer a Euro Rack Kit like the one in the picture below. It can power up around 6-10 modules depending on what they are. I was able to power up (3) BLUE VCO's, (3) VCF's, and (1) MIXER no problem. It also uses an AC - AC Wall wart with 2.1mm Jack.